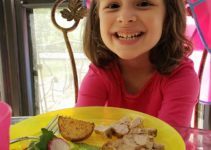 What Are The Best Meal Planning Websites For Families? How I’m planning to get out of our family dinner rut with meal planning websites! Letting someone else plan our food. I’m so tired of meal planning! Also, I’m tired of eating the same foods in rotation every other week or so. Now, don’t get me wrong, I’m loving our Taco Tuesdays and so do hubby and the kids. It’s even gotten to the point we expect beef tacos (or taco salads) because chicken tacos don’t have the same appeal to any of us. My side dishes are in constant rotation and we’re not mixing it up at all. None of this is to say that we don’t enjoy what we eat. We do like the food we’re used to. It’s just that I’m in serious need of some motivation to try something new. But, I’m tired of searching out Pinterest for hours hoping to find a recipe. Even when I do settle on something, there’s no guarantee it’ll actually be good. Nor do I feel I’ll have much luck with everyone liking dinner. Then, I’m bummed because I spent a lot of time searching it out for nothing. Yeah, that’s why I’m starting to sort through meal planning websites to me with this daunting task! I’m looking for meal plans for busy families that also have recipes that will cater to my dietary restrictions. Plus, I’m looking forward to finding new recipes without spending as much time sorting through them. This means I’m going to need to be more flexible in the kinds of food I’ll eat … and if a recipe calls for fish, I guess I’ll be forcing myself to try it in the name of mixing up our dinner routines. Although, I’m probably keeping Taco Tuesday, so I know we have one meal a week we all look forward to! In that respect, let’s not fix what’s not broken. Am I right?! It’s always a joy to find a free meal planning service, so I was excited when I found this. Unfortunately, the excitement wore off almost immediately. I admit, however, I didn’t give it much of a chance at first. So, you’re suppose to be able to import recipes into your meal plan directly from popular websites. I assumed I would be able to use my wealth of recipes on Pinterest, but I was sadly mistaken. They mean popular recipe websites like Allrecipes.com, Eating Well, Serious Eats, Tasty Kitchen, and the likes. I didn’t have favorite recipes from these sites that I knew of immediately, which meant I was going to have to find new recipes or upload my own manually. Since I’m looking to save some time and get out of a rut, it’s important to me that my meal planning websites do all of this work for me. I would like new recipes and few selections to get me out of my meal planning rut. Which is why Pepperplate isn’t currently an option for my family, despite being free. Still, there are benefits to using Pepperplate, if this is something you’re interested in. For starters, you can create unlimited categories and it’s available on a lot of devices, including iOS and Android. Additionally, your family can view what’s for dinner. I don’t know about you, but I have never liked that question, because a) you’ll see it when it’s on your plate and b) I won’t be making anything else if you don’t like what I cooked. There’s a cook mode to prevent your device from dimming while prepping and Pepperplate allows you to share recipes with friends and family. Finally, you can add items to your shopping list and arrange it the way you like to suit your grocery store shopping. As a free version, this seems like a great option if you already have a bunch of favorites from the major recipe websites this system supports. I’d love to know if you’ve used this one before. I think PlateJoy seems like a fabulous option for first time users of meal planning websites because of the value for the money! With your plan, you get unlimited meal plans for any courses you like! Unlike other meal planning websites, your menu isn’t limited to dinner. Plus, you can personalize the menu based on dietary restrictions and food allergies AND change your dietary preference any time for free. The recipes are custom tailored to your preferences. Additionally, PlateJoy has partnered with Instacart by giving you the option to automatically upload your grocery list and gives you a $20 grocery credit as first time Instacart customers. What’s impressive about PlateJoy is that it gives you a questionnaire at the start of your subscription. When completing this, you’ll give them information about your family, dietary preferences and time constraints. You’ll even provide them with information about how many meals (breakfast, lunch, dinner, and snacks) you need each week. All your input helps PlateJoy customize your menus. You’ll get nutritional information for each meal and have access to a personal nutrition coach. Plus, they make it easy to sync nutrition to your Fitbit if you have one. PlateJoy meal planning subscriptions are available in 6 month for $69 ($11.50 per month) or 12 month for $99 ($8.25 per month) and is billed upfront. They also have a weight loss plan for about $20 per month. Sign up here for a 14-day free trial. P.S. Use my code SAHMPLUS10 for $10 off your subscription! This meal planning website touts 20 ingredients and 20 minutes to complete your shopping. 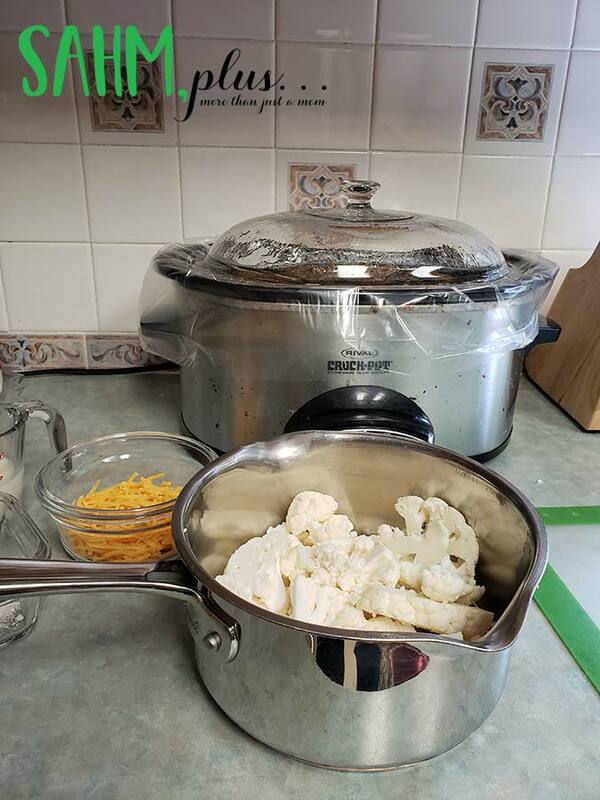 Now, I’m not sure how much I believe the 20 minute shopping, but I love that this site states they use 20 fresh unprocessed, not frozen ingredients to stay away from preservatives, thus providing healthier meals for your family. 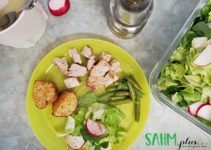 One of the cool things about this meal planning service is that The Fresh 20 factors in a 1 hour prep session at the beginning of the week to save you time during busy week nights. This is the same concept I discuss for preparing lunches for beating the school morning rush myself. Because you’ve spent an hour at the beginning of the week, weeknights are spent cooking an easier meal for the family. Meal plans are posted on Fridays, giving you plenty of time to gather your grocery list and make adjustments for weekend grocery shoppers. Plus, as is my case, I can compare sales on food since our stores usually update sales flyers on Thursdays. The Fresh 20 offers meal plans including, but not limited to, for one, Paleo, gluten free, classic and more. The Fresh 20 claims recipes are fit for families of 4 and for those with small children (like my family) there may be enough for lunch the following day. If you don’t cook at home 7 nights a week, you’ll likely find that the 5 meals in their weekly plan are enough. For me, this is perfect so that it allows us to have our one dinner out per week, especially when soccer season starts up again. And, if I want to keep my Taco night, I still can. Finally, if you wish to reuse recipes, even after your subscription term has ended, it is your responsibility to save the recipe directly to a computer or print it out. Monthly subscribers must save them before the month’s end or they will be removed from your options (saving does not include saving the email). Pricing for The Fresh 20 is $14 per month, but choosing an annual plan saves quite a bit at $74 for the year! Sign up here! As far as meal planning websites, eMeals has a great approach for a bit less than the other services. In addition to having access to eMeals via your computer, they offer an iOS and Android app for meal planning when you’re away from your computer. With the app, you can also view your recipes and swipe to view directions individually while in the kitchen. Meal plans offered include 30 minute meals, budget, friendly, Paleo, and more. They indicate that their two most popular meal plans are Clean Eating and Quick & Healthy. eMeals also allows you to change your meal plan for free at any time. They offer 7 dinner menus for the week. If you decide not to cook at home for 7 nights, you can select the meals you want to prepare for the week and have a shopping list created for you based on those selections. 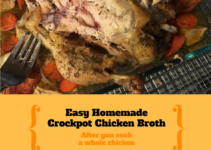 The great thing about eMeals is that they work with multiple grocery partners (AmazonFresh, Walmart Grocery, Instacart, Kroger ClickList, and Shipt). The variety of options makes it easier for one to get their groceries through their preferred service. eMeals offers a variety of plans you can add to your dinner menu planning service including lunch, breakfast, dessert, and occasions. Each plan is available in 3 and 12-month subscription plans. Dinner menu pricing for 3-months is $29.99, but your best deal is the 12-month subscription for $59.99. Each additional menu planning service is an additional cost, but are each less than the dinner plan. Get a 14-day free trial to eMeals here. Side note: In the event you wish to cancel or opt out of renewal, this must be done by calling their customer service line at least 2 days before renewal. In this day and age, this seems to be a bit of a hassle, but may be worth it since this meal planning service is one of the cheaper paid options available. As I scan through meal planning websites, they often seem the same. The Dinner Daily sets itself apart by immediately touting that it creates meals in conjunction with your store’s sales. They have 11,000 stores in 48 states that they use to check sales flyers, but have an ANY STORE option if your store is not listed. Using the ANY STORE option just means your menu will not be based on sales. Additionally, you can view and select menus from two stores. 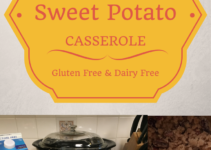 The Dinner Daily provides two meal plan options – family (serves 4 or 6) and meals (serves 2 or 3) and posts their menus on a scheduled based on your chosen grocery store. The menu is posted online and then emailed as well. In the Account Settings page, you can change your preferences to tell the system what you want for dinners (the types of meat or vegetarian) and your specific dietary needs. Not only does this service provide menus based on sales, they provide direct links to coupons to help you save any further. The Dinner Daily suggests they can save families $1000 or more in a year using their service (as long as your store offers weekly sales). 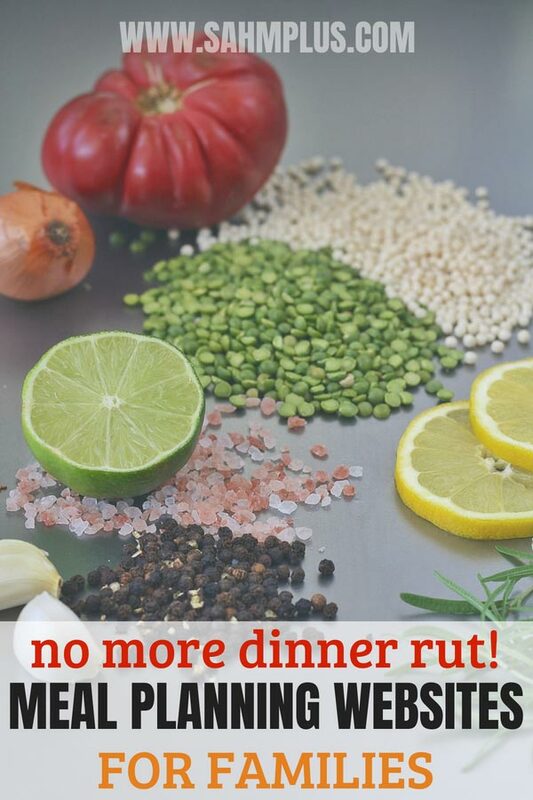 Additional benefits to The Dinner Daily include dinner party planning menus as well as make ahead menus. Plus, they say you won’t typically see the same recipe earlier than 2 months from the last time it appeared. This means you’ll have a lot of choices and won’t get tired of your menus as easily. This service allows you to select “Favorites” and use them with the “Switch It” feature in case you don’t enjoy one of the recommendations or really want to have a recipe sooner than it will reappear. Currently, The Dinner Daily appears to only work with Peapod for grocery delivery, so if you’re looking to also save time by not manually adding your grocery list, but don’t use Peapod, you’ll be out of luck with this portion of the service. Finally, this menu planning service offers an app for Android and iOS users, so that you can access everything just like on your computer. You can subscribe to The Dinner Daily for $18 for 3 months, $30 for 6 months, or $48 for a full year. Try out The Dinner Daily FREE for two weeks! Eat This Much appears to be for individuals who are looking to get fit or have weight gain or loss goals. When you play with the initial plage, you’re asked how many calories you wish to eat in so many meals. I didn’t know, so I did it’s easy calculator. I have a goal to gain weight, so I input my current and goal weight and how much weight I’d like to gain in a week. The cool part about this is that it can tell me about when I should achieve this goal using their plan. Eat This Much automatically creates dinners for 1, however, in your dinner options, you can have it update by adding the number of people in “Plan this meal for __ people.” Doing this will scale the ingredients and shopping list for each recipe you’ve done this for. 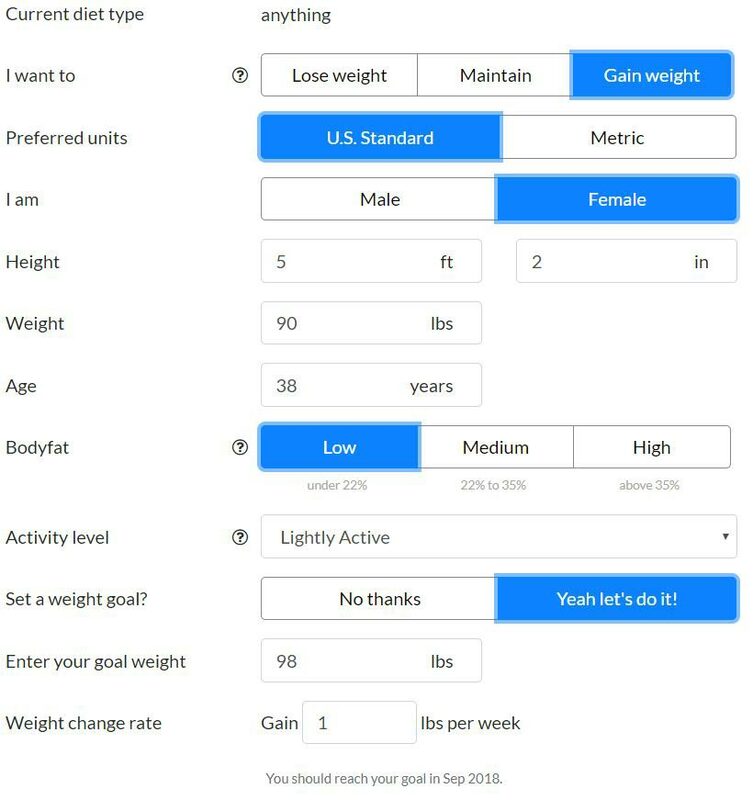 The odd thing is that you can only set the calorie intake for 1 person, so they suggest adding the person with the lowest intake requirement, so that you don’t make more than they need. At initial overview, it appears you’re limited to meal plans following these diets: Anything, Paleo, Vegetarian, Ketogenic, Vegan, or Mediterranean. While this may work for most people, I would be limited to the Paleo plan because of my gluten and dairy restrictions, but it could be problematic since I also have to avoid almonds (and almond is found in a lot of Paleo recipes). When I looked further, once you actually sign up for a free account, you can fine-tune your food preferences or allergies to exclude certain ingredients. The cool thing is you will get instant access to recommended recipes and you can refresh to get a new meal plan. I like that they automatically update your shopping list and also work with Instacart. Overall those, this is not one of the best meal planning websites out there for families, especially if you don’t all share the same weight or health goals. Or, if you don’t care and you just want to feed your kids, this may be more deep than you need to go. You can get started with a Free account on Eat This Much (everything I discussed above). But, you can also upgrade to the Premium Plan for $9/mo (or $5/mo if paid annually). The upgrade allows you to send/email menu plans, save unlimited meal plans, the family meal will scale ingredients in your shopping list, set up custom leftovers, and more. As a special bonus, if you’re interested in the upgraded version, you can use my referral link and code SAHMPLUS25 for a 14-day free trial and 25% OFF if you choose to upgrade. Have you ever tried meal planning websites for your family? I’m interested in what you’ve used and your thoughts on them. Have any other recommendations for me? OMG, why haven’t I thought of this before! I’m so busy ALL THE TIME. This is an awesome resource for me! Oh I am SO right there with you! We have been in a meal rut and I’m currently trying to dig my way out of it! Easy to get into … stick to what people like. And then everyone gets tired of what they like and you’re screwed lol. Perfect timing. I just started working full time after a break and my kids are complaining about our meals. Will share this with them and they can help out! That’s a bummer. My family complained once about Taco Tuesday when I swapped beef for chicken … so we stick to beef tacos. Sometimes giving them input helps for sure! This is great. I’ve been wanting to meal plan for so long now. I think it would really help out my family. I’ve always been one to meal plan a week or two out, but I’m SO tired of the work. I’m currently trying PlateJoy, my first week in and it’s helped me not stress so much about what’s for dinner! I’ve thought about trying to meal plan but I just haven’t found out where to start. I will definitely be looking at these websites. I’m all for meal planning. I’ve been terrible at it lately but I’m going to look into these sites. I am the WORST at meal planning! THE WORST! I need to check out these resources! I will admit I’m horrible at meal planning. I always attempt to do it but then I fail. I need to just do it. My sister in law is the queen of meal planning. Sometimes I let her do all the work and send me her lists. I’ve tried meal planning so many times I’ve lost count. I’ve always found meal planning extremely time-consuming. I’ve belonged to sites before, but I end up having to come up with some on my own since they are not always kid-friendly. What I’ve been doing recently is buying different varieties of meat at the grocery store and then building meals around the meat. Since I’m watching my carb intake, I can make my portion fairly paleo while adding some carbs onto the kid’s meals. That being said, there are some planning sites you’ve mentioned that I’ve never heard of that I will be checking out! I’m on the same boat as Jodi, and have tried meal planning for some time as well. I think as a start, they’re super great just to get your bearings in order for what ingredients to buy. Especially if you are a beginner cook! Thanks for the screenshots. I might give these a whirl to test again. OOOOO This is awesome! I was thinking of finding a site like this just a few weeks ago. I am absolutely going to give E Meals a try as I am a walmart grocery and shipt fan! What a great idea for any mom trying to balance life. I’m starting with PlateJoy. I’d love to know what you think of EMeals! I was just searching on Google and found your article.So lovely writeup.